Today I have for you the most refreshing smoothie. 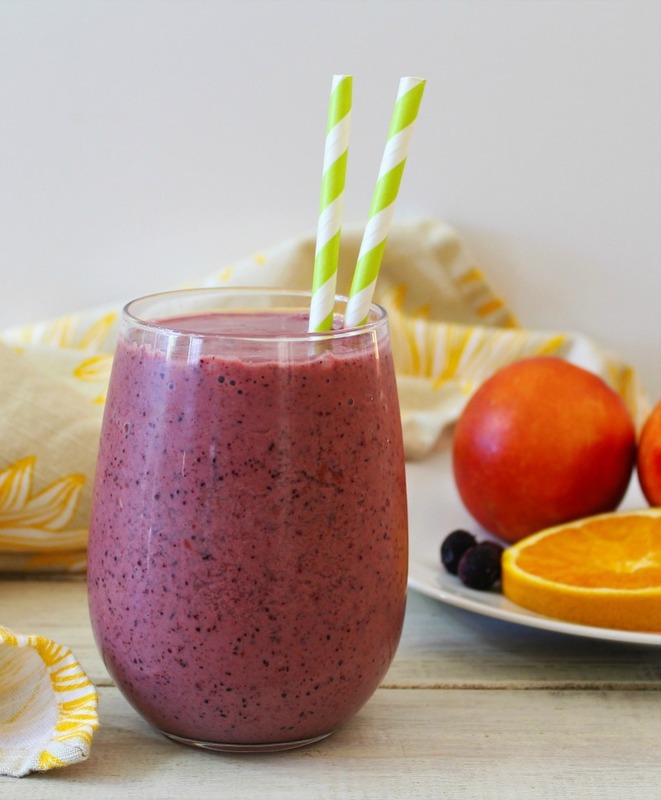 It is made with fresh nectarines, blueberries, oranges and yogurt. It is so light and the flavor of the nectarine really shines through. This sure to be a summer hit. I have been over buying my summer fruit this year and I can’t keep up on eating it, so when it gets to the point that it is almost over ripe, I make it into a smoothie. This is the best time to use any fruit that will be making it past its prime. 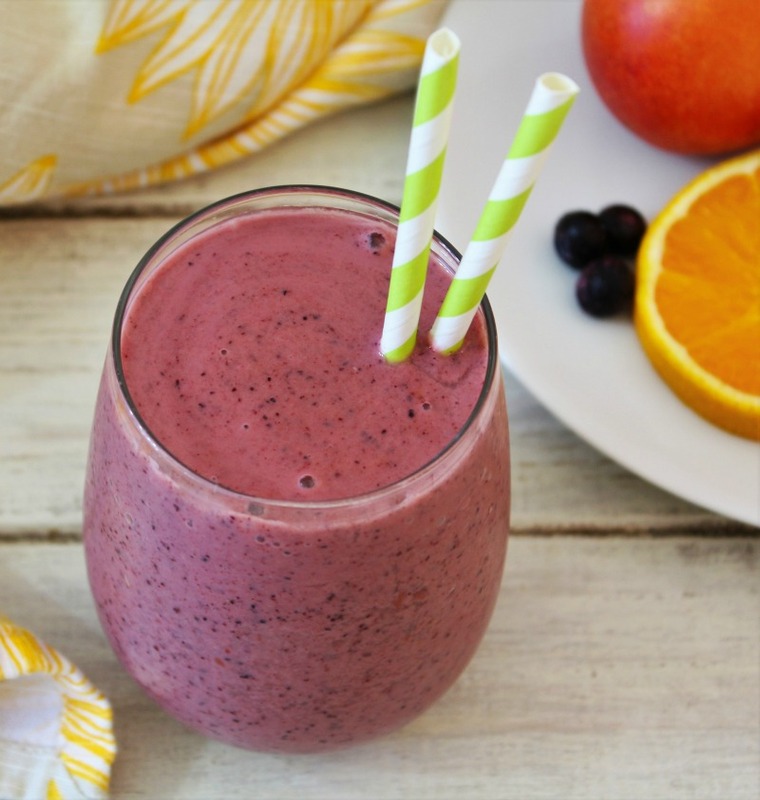 You could freeze it, but I can get to lazy for that, so why not make a refreshing smoothie? I could use a bit of light drinks this time of year. I had one orange left and I thought why not add it into the drink? 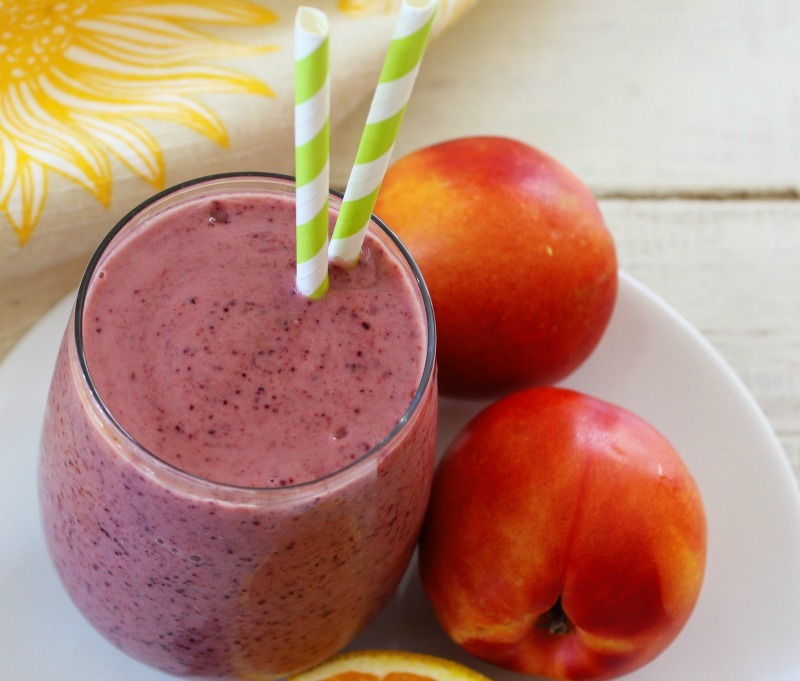 It brought out the flavor of the nectarine, and added a fresh sunshine flavor. I debating about using ice, but then I thought blueberries are perfect. 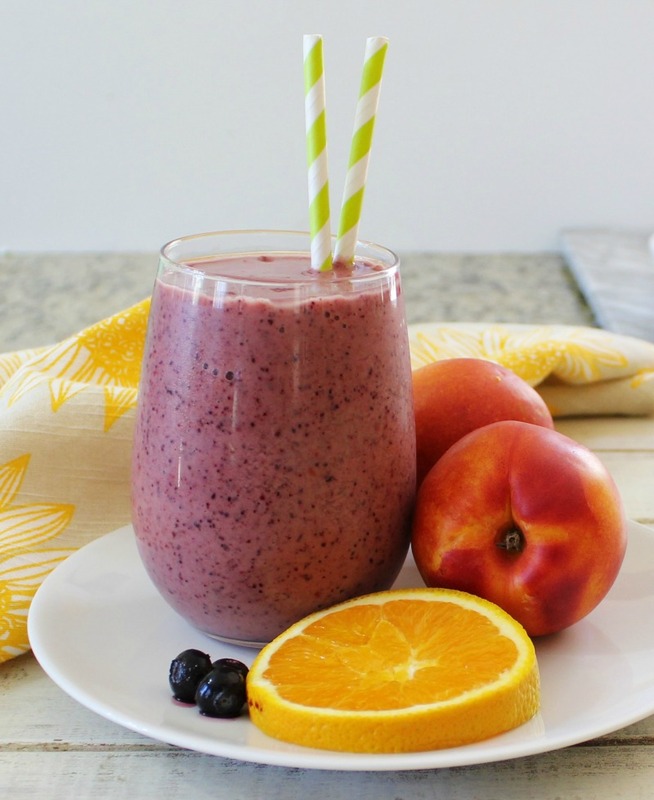 I love the combination of blueberries and nectarine together. However, you don’t get to much of a blueberry taste, but you do get all of its nutritional value, plus fiber to fill you up. For the yogurt, I went with Dannon Light & Fit Greek Yogurt. It’s only 80 calories a serving and the vanilla flavor added a nice subtle flavor. Everything worked out well together. I am pretty happy with this smoothie and now I am going to stock up on Nectarines so I can make more. 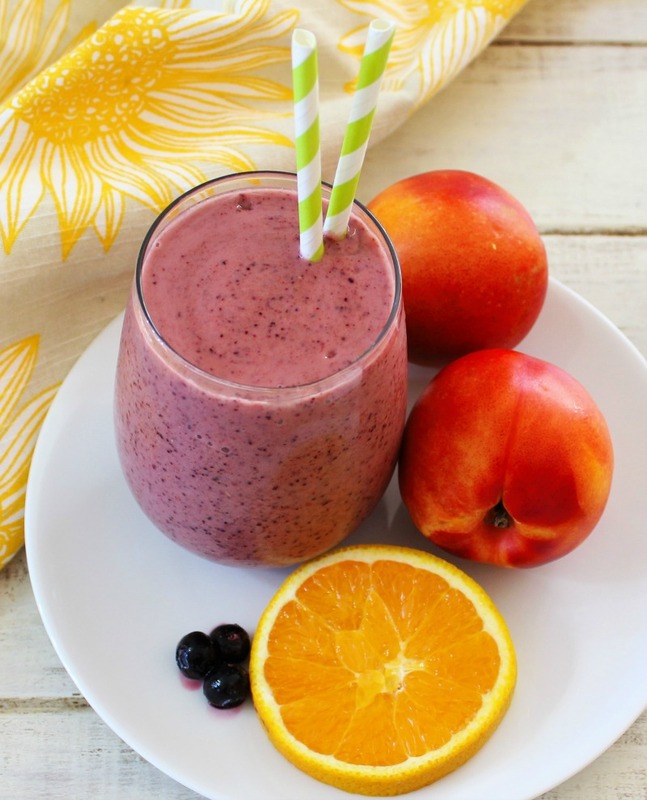 A refreshing yogurt smoothie made with fresh nectarines, oranges and blueberries. Yum, yum, yum! I have said it before and I will keep saying it. Nothing beats this time of year for fresh produce. I am so loving all of these summer finds. I think I will stock up and make a day of freezing and canning all of my finds so I can enjoy the flavors all year round. I guess I better clear the freezer and pantry.